This web exhibition accompanies the current exhibition "Royally connected in De Affiche Galerij" in Den Haag (NL), from March 4 - May 4, 2005. The following text and the pictures were kindly provided by Wendy Louw, curator of the exhibition. On April 30th of this year, H.M. Beatrix celebrates her 25th anniversary as queen of The Netherlands. 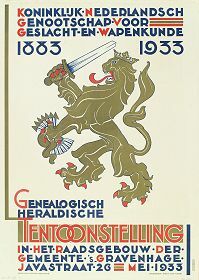 To celebrate this in an exhibition, the The Hague Municipal Archives have asked a large number of Royal companies, institutes, museums and clubs to go through their archives, looking for historically interesting posters and advertisements. They came up with more than enough material and as a result the exhibition 'Royally connected' can be visited in De Affiche Galerij (the Poster Gallery in the Tramtunnel, at station Spui, in The Hague, The Netherlands) from March 4 - May 4. 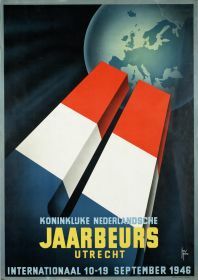 One of the oldest poster has been lent to us, suitably by the oldest company of The Netherlands. It's an advertisement dating back to 1902 for the Makkum, tile- and earthenware company Gebr. Tichelaar (1594). The company was designated 'Royal' in 1960. The youngest addition to the exhibition dates back to 2001 and it advertises, also rather appropriately, paper as a quality product. 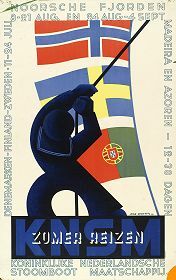 Between these two extremes a wide variety of posters from, amongst others, the Royal Dutch Army, Navy, Airforce, Milva and Marva (all by Frans Mettes), Shell, KLM, Talens and the Royal Dutch Gymnastics Union and many, many others can be seen in the exhibition. 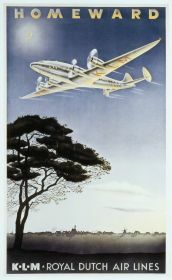 Some companies, like KLM for instance, were already given the designation 'Royal' when they were established. Others have waited for this honour for more then a hundred years. And, although the Army and the Navy became Royal when the kingdom of The Netherlands was founded, back in 1815, the Airforce had to wait for its designation until 1953. 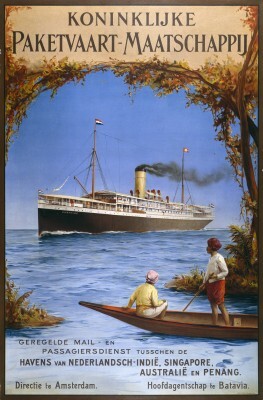 Koninklijke Paketvaart-Maatschappij / P&O Koninklijke Nedlloyd N.V.
Koninklijke Nederlandse Stoomboot Maatschappij / Koninklijke P&O Nedlloyd N.V.